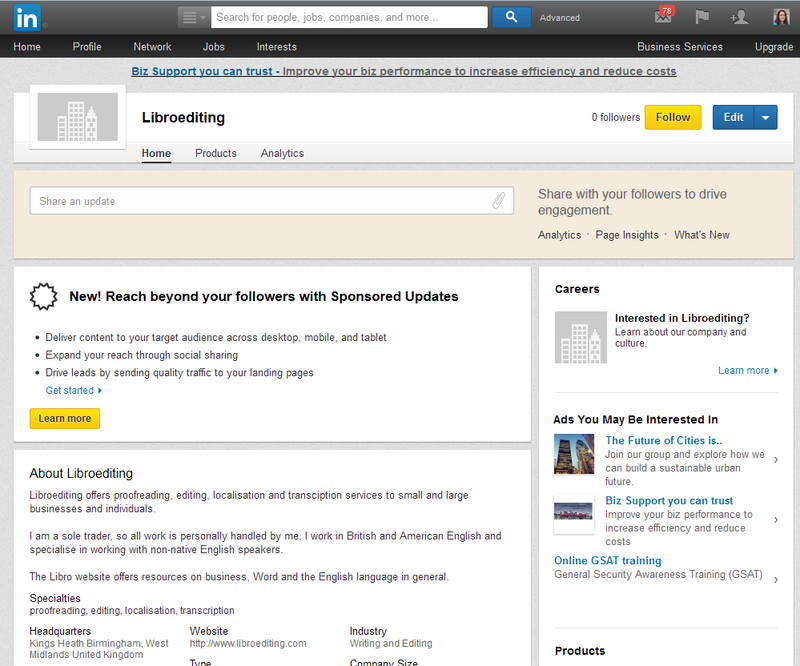 LinkedIn is seen primarily as a networking tool for the more corporate end of the market. 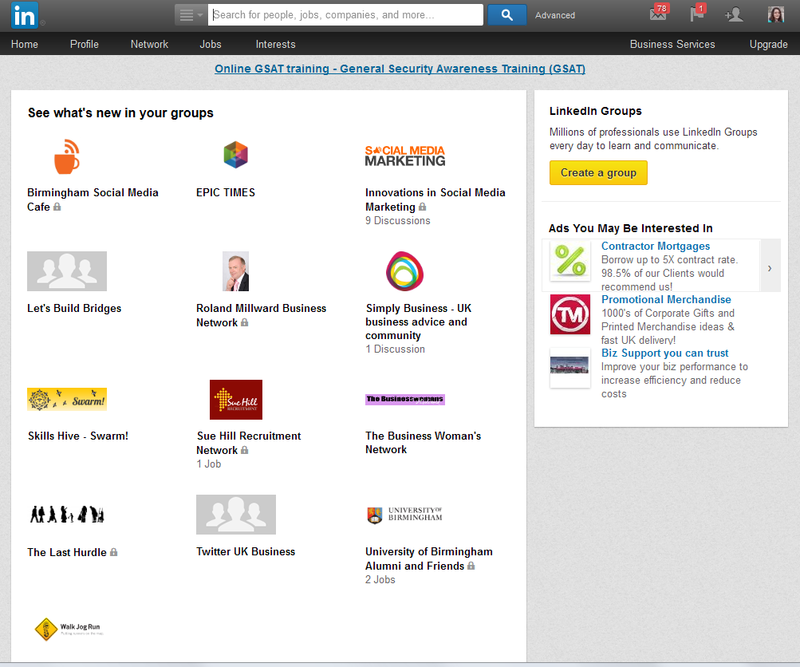 However, you can set up your own business page on LinkedIn now, and there is a lot more interactivity and ‘social’ activity than there used to be – or than you might think. 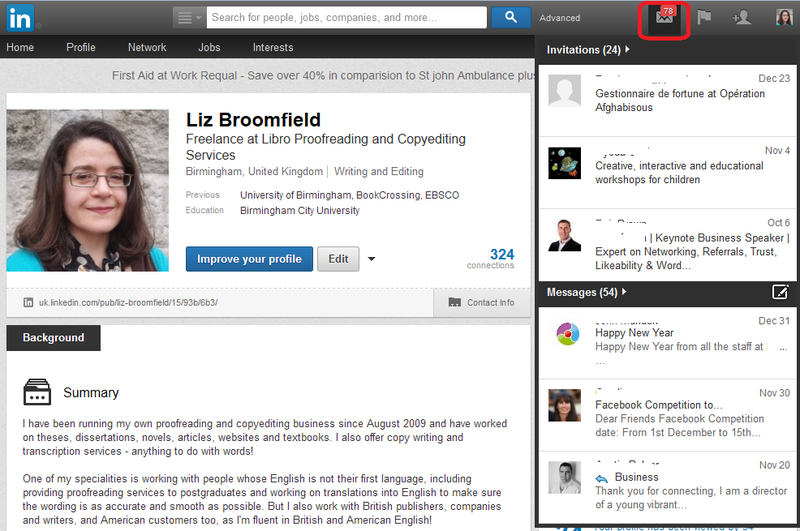 Once on www.linkedin.com you can join up and set up your profile. It’s a good idea to include as much information as you can on here – and in a professional way. While it’s never a good idea to allow typos and grammatical errors on any professional profile, it’s vitally important here, as people tend to make more of an effort, and so any errors will be very glaring. Your home page will contain a feed a little like your Facebook timeline, with updates from people to whom you’re linked. 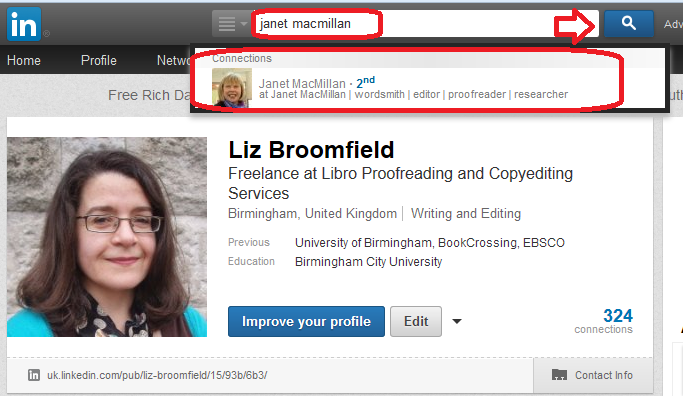 To find people to link to, you can search in the search box at the top of the screen. 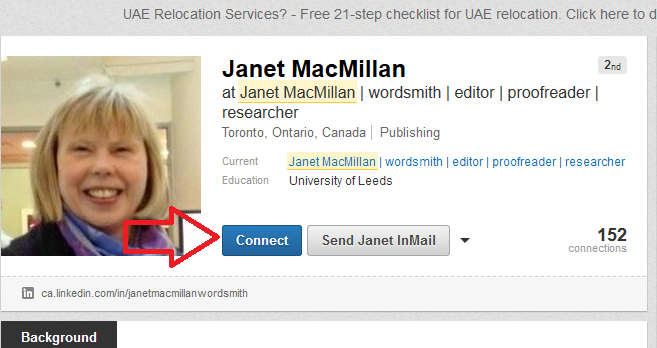 Once you’re linked to someone, they will appear in your Connections list, which you can access by clicking the [number] connections icon to the bottom right of your profile picture area. 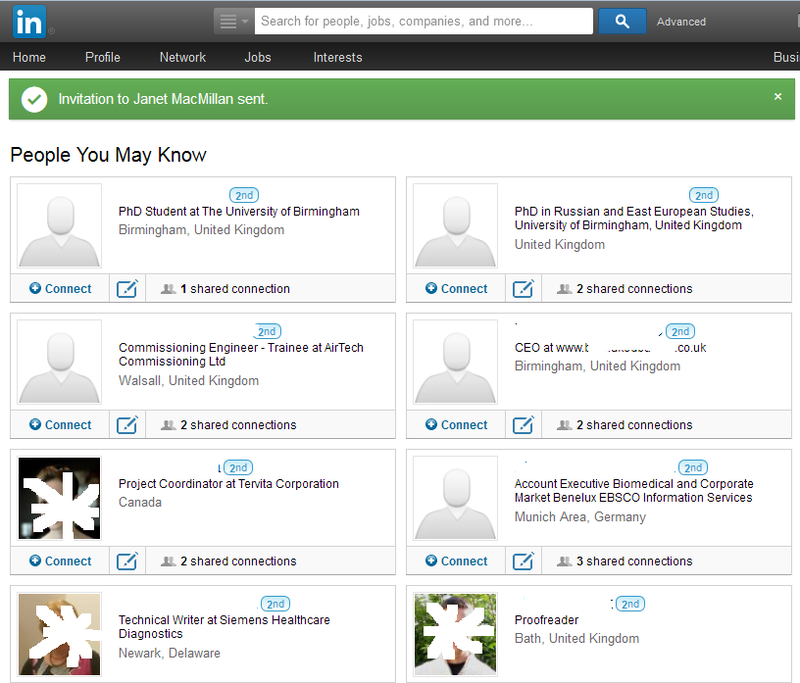 Your profile also includes a link to People You May Know. This will give you people in networks connected to you by other connections, workplaces or interest groups to whom you might want to link. You can see your invitations and notifications at the top right. 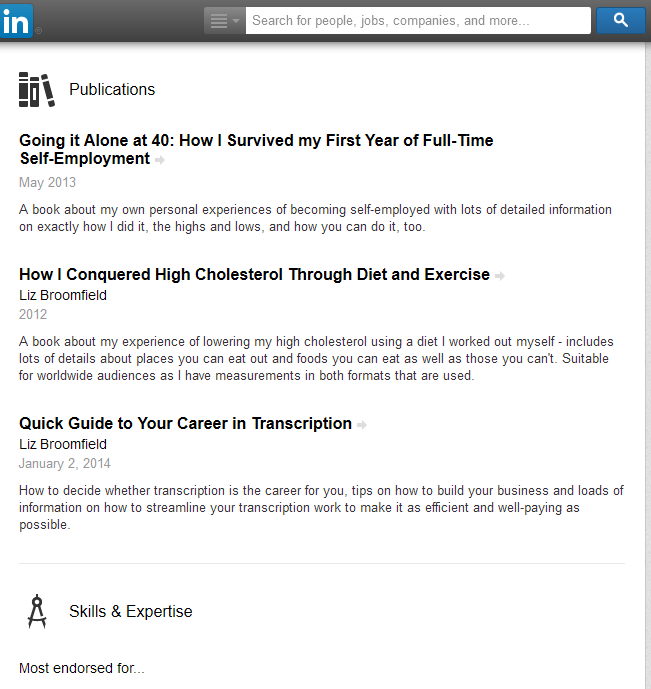 LinkedIn is different from other social media networks, in that you have to have a tangible connection to a person in order to ‘Link’ to them. If you find someone you want to link to and press Connect, you’ll be asked how you know that person. If you say that they’re a colleague, or that you’ve done business with them, you’ll be asked which of your jobs they are a colleague from – that’s why it’s important to list all of the companies that you have worked for on your profile. If you say that they’re a friend, you’ll be asked to prove you know them by providing their email address. It will then ask you how you know that person: when you click on one of the radio buttons, you will be asked for more detail. You can set up a company page on LinkedIn for your business – this will give people another way to find you and will provide another link to your website and other social media. 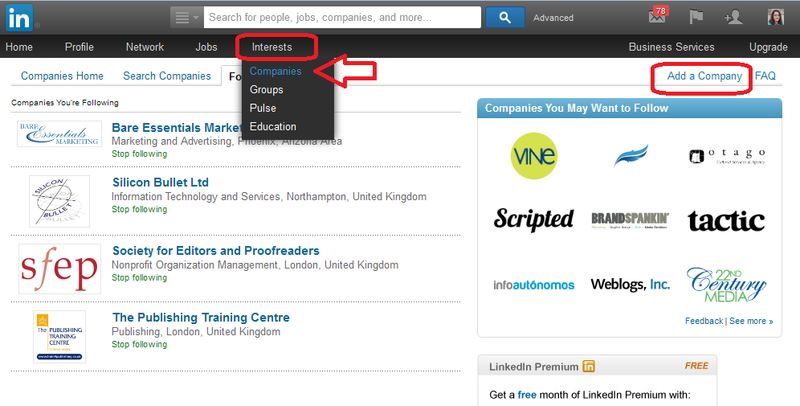 To set up a company page, click on Interests at the top, then Companies from the drop-down. 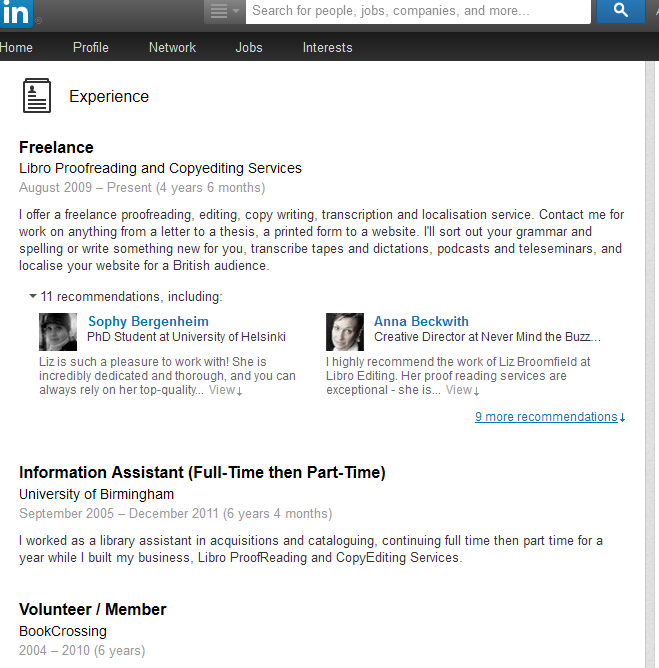 At the top right of the next page you’ll find a link for Add Company. 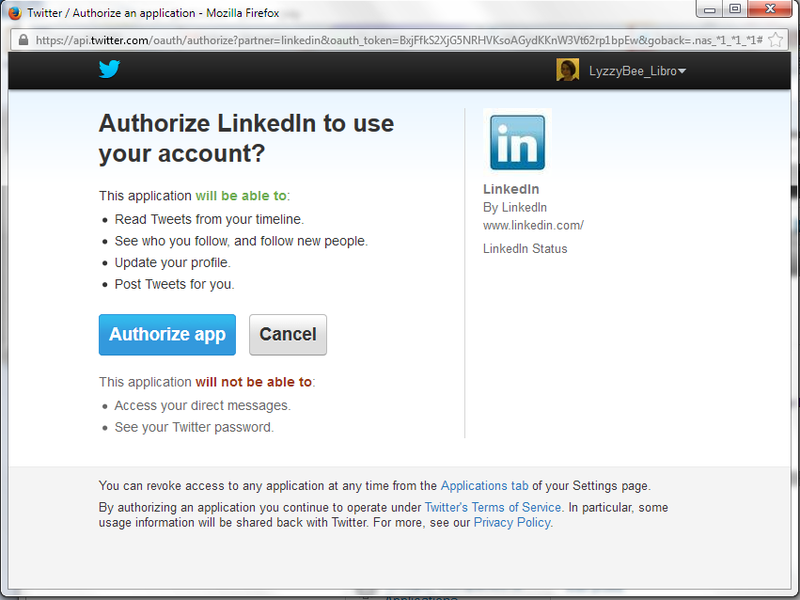 You will first need to confirm that you’re eligible to create and moderate this page, so there will be an email sent to you to confirm, and you must have a personal LinkedIn account to create a company page. 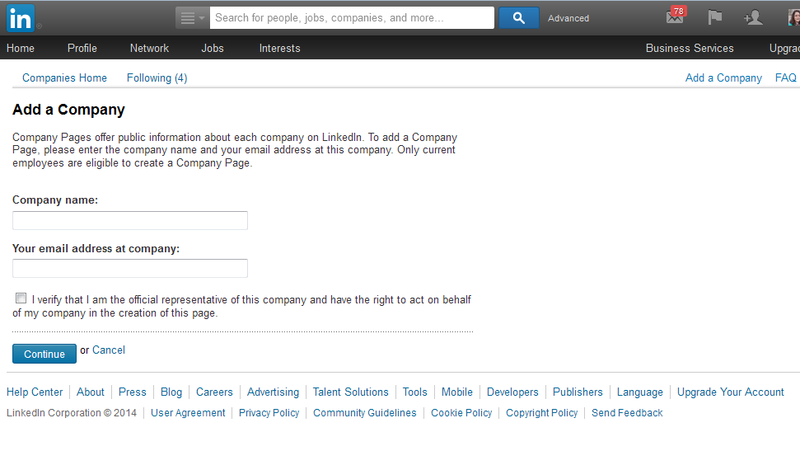 Fill in all of your company’s details and save – and there you go. 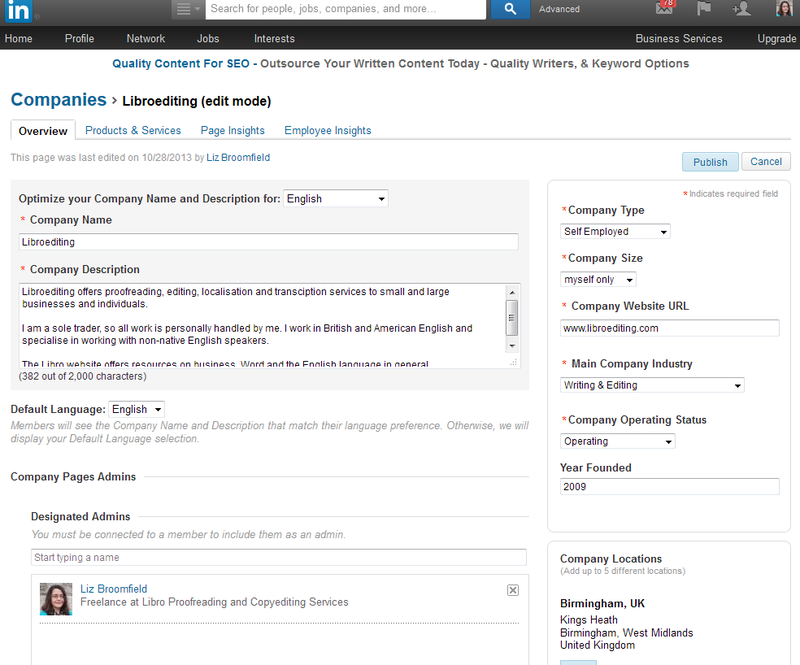 To edit your company information, go and find the company page and click on Edit. 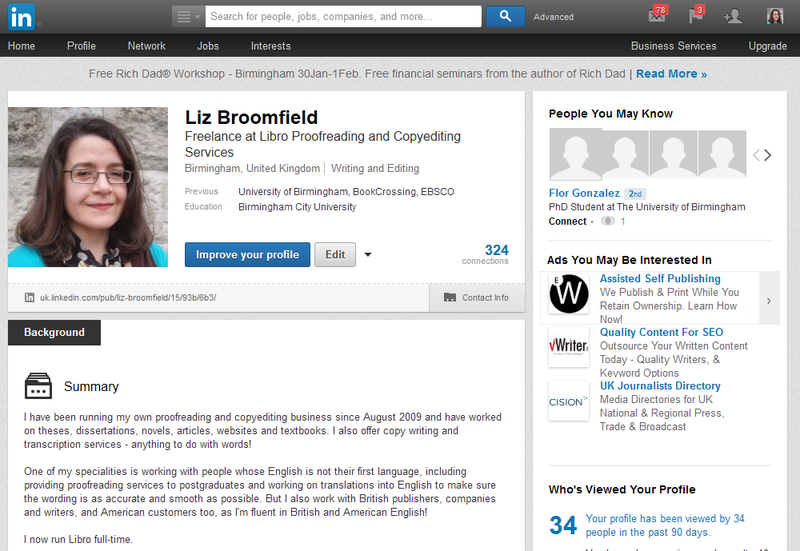 This section is about social media – so how do you get social on LinkedIn? 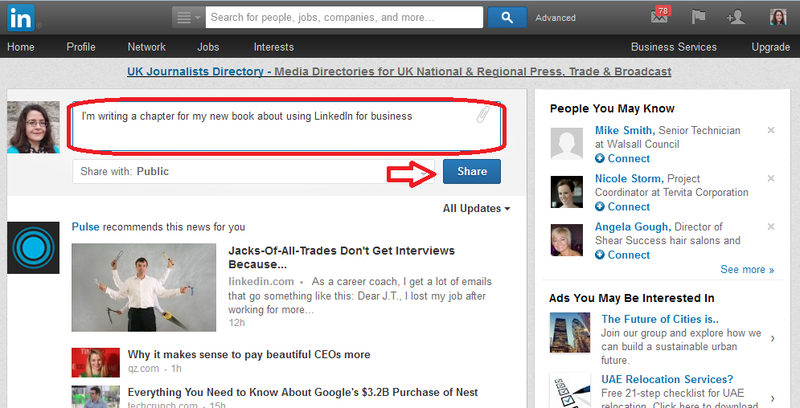 You can post updates, just like on Facebook – do this from the Home page. Your updates will appear on your connections’ home pages, just as theirs do on yours. You can like and share updates in a very similar way to Facebook. 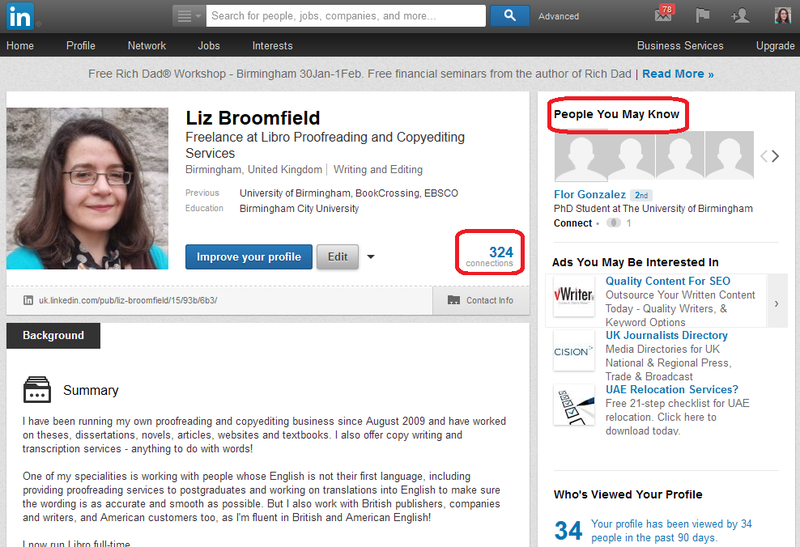 You can direct most blogging platforms to automatically post links on LinkedIn – all of my WordPress blog posts do this. 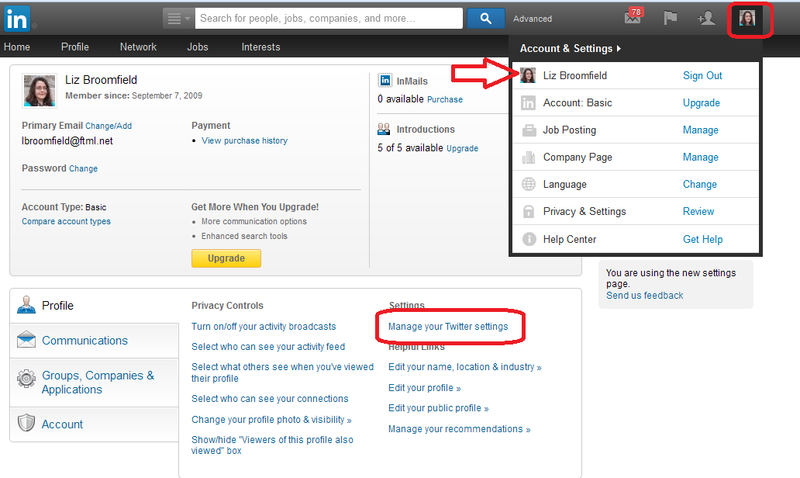 You can also link your Twitter account to LinkedIn by going to your account settings (click on the small photo in the top right of the screen), clicking on your name and choosing Manage Twitter Accounts. 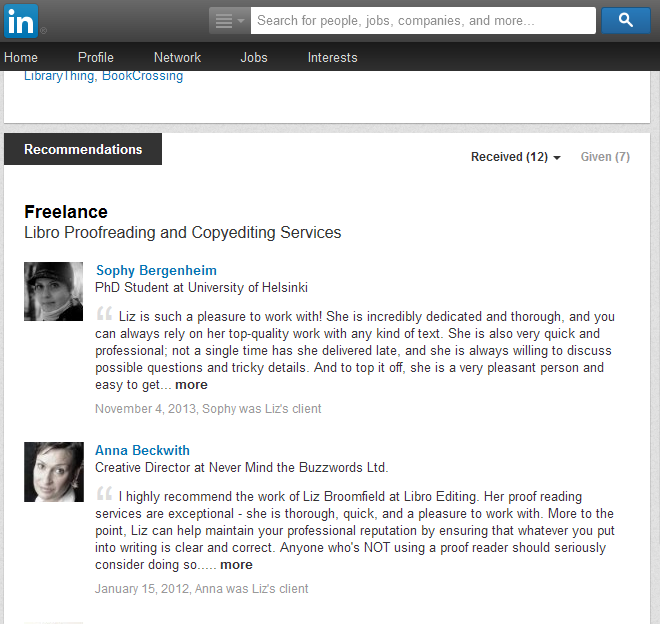 If someone has done a good job for you, you can click on Recommend in their profile and type in a recommendation. They will be emailed this and will have the option as to whether to publish it or not (this prevents people posting negative comments without the member knowing). There are thousands of interest groups on LinkedIn and these can be a good way to meet new people, spread the word about what you’re doing, and find out what other people are up to. 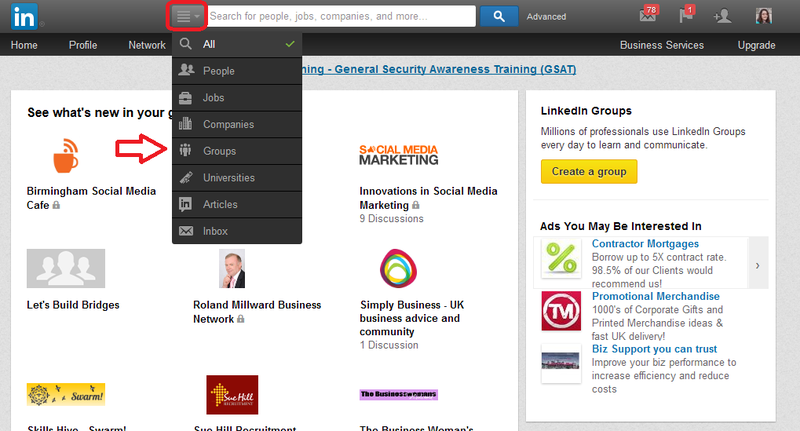 Access Groups by searching in the top search bar (you can click on the icon to the left of the search area and select only Groups to search) or by clicking on Interests then Groups. 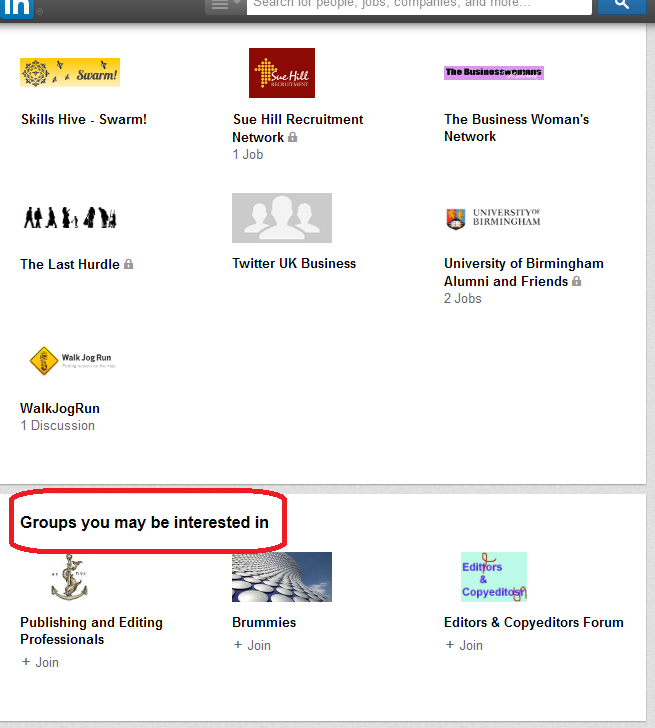 Once you’ve joined some Groups, you will find them listed on your Groups page, and then some suggestions underneath. When you look at the Groups screen, you can see all of the groups you have joined, and you can also create a group if you wish to. Groups work very simply – you can post a new message or reply to another one, just like in other social media like Facebook and Google+. 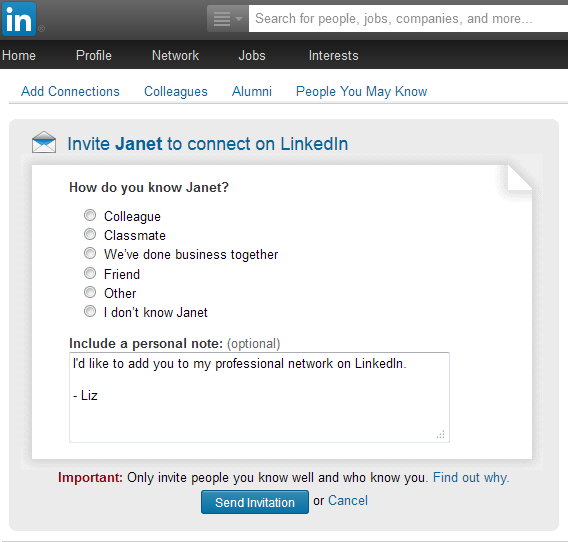 You can choose whether you are updated by email for all posts and replies in the group, or whether you want to just access them via the LinkedIn website. I have found that some groups do become clogged with too many adverts and not enough discussion, but others can be really useful. 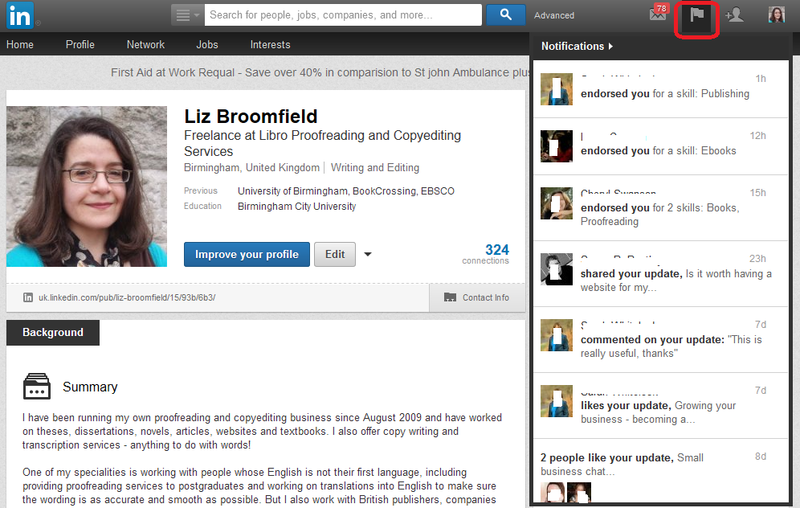 The usual rules apply about reciprocity and kindness when using LinkedIn for social media communications. Be professional. 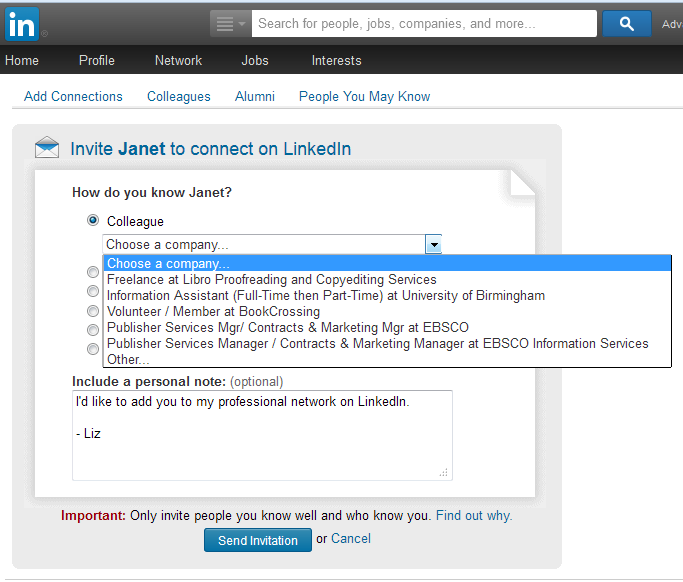 LinkedIn is known as a professional and careers-orientated site, although there is certainly room for the self-employed. But you do need to be extra professional and not very personal on here. Reciprocate – if people like and share your updates and group posts, say thank you and like and share theirs. Similarly, if people recommend you, or if they use the Endorse buttons that appear at the top of the screen when you log in to say that you’re knowledgeable about a certain topic, do try to recommend and endorse them back.